Californian alt-metal powerhouse Coal Chamber is officially back in business with new record Rivals announced for Spring. The band still comprises of frontman Dez Fafara (now of DevilDriver), guitarist Meegs Rascon (now of We Are The Riot), skins slammer Mikal Cox (also WATR) and bassist Nadja Peulen, however this record has been 13 years in the making, after the band broke up during the aptly-named Dark Days tour in the early 2000s. 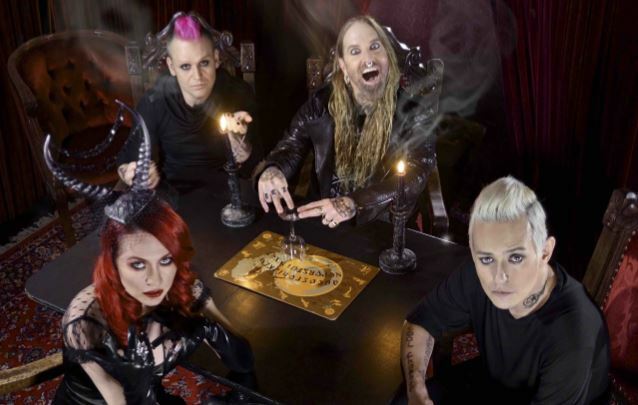 Rivals will be Coal Chamber’s first release on new record label Napalm, on May 19 in North America (worldwide release dates have not been confirmed). The band spent several weeks towards the end of last year recording the album at Audiohammer studio in Florida, with producer Mark Lewis (DevilDriver, Cannibal Corpse). In the lead up to Rivals‘ release, the band will embark on a six-week headlining tour of the USA on March 6, supported by Filter, Combichrist and American Head Charge. For more information on dates and locations visit the official Coal Chamber web site.